PARO is an advanced interactive robot which provides psychological and social effects to human beings through physical interaction. PARO is now available on a free and obligation free trial basis. Experience how PARO can assist in caring for people living with dementia and see why care facilities and carers across Australia are opting for this drug free and highly effective therapy. 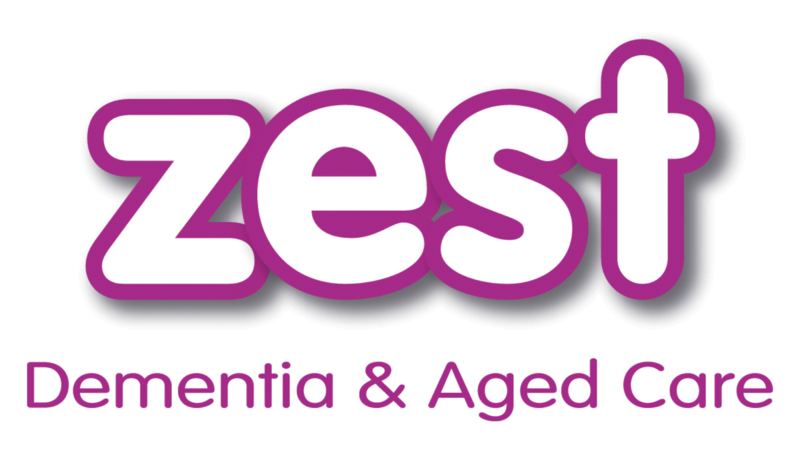 Contact ZEST Dementia & Aged Care for more information and to participate in our limited free trial of PARO. Despite the fact that animal assisted therapy has been in practice for a long time, some hospitals and nursing facilities still don’t accept animals even though they recognise the very positive effects that animals can have in assisted therapy and activity. Some are concerned about the potential negative effects of animals on people including allergies, infections, bites and scratches. PARO provides many of the benefits of animal therapy without any of these potential hazards. 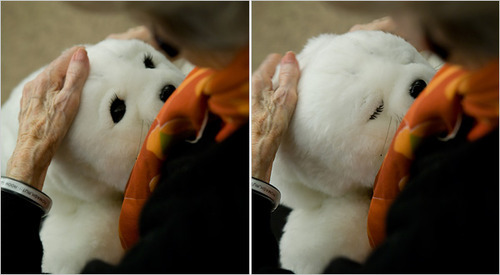 PARO is an 8th generation therapeutic robot that has been in use in Japan and throughout Europe since 2003. PARO is designed to look like a baby seal which is a non·familiar animal allowing users to accept it easily without any significant pre-conceptions. Covered in artifIcial antibiotic fur, it features a hard inner skeleton under which are dual processors that control proprietary software for behaviour generation and voice recognition systems. The built-in intelligence provides psychological, physiological and social benefits through physical interaction with human beings. PARO not only imitates animal behaviour, it also responds to light, sound, temperature, touch and posture, and over time develops its own character. As a result, it becomes a “living” cherished pet that provides relaxation, entertainment, and companionship to the owner. It Is perfect for those who cannot take care of real animals and those who live in places where live animals are prohibited, including hospitals, elder care Centres and nursing homes. PARO has five kinds of sensors: tactile, light, audition. temperature, and posture sensors, with which it can perceive people end its environment. With its light sensor, PARO can recognise light and dark and responds to being stroked or held via its tactile and posture sensors. PARO can also recognise the direction of voice and words such as its name, greetings. and praise using its built-in audio sensor. PARO can learn to behave in a way that the user prefers, and to respond to its new name. For example, if you stroke it every time you touch it, PARO will remember your previous action and will try to repeat that action to be stroked. PARO will also allow people to reminisce about their own past pet experiences and assists in reducing anxiety and stress. PARO can be purchased outright or rented by the month with no minimum rental period required. We can also arrange a trial for you to use PARO in your residence or private home. Contact us today to find out how we can help you to experience PARO for yourself!